I spoke to Impact Wrestling's Killer Kross recently, very briefly. He does a lot of work in Mexico, and I asked him about his experiences teaming with WCW veteran Juventud Guerrera. Guerrera can be a polarizing personality backstage and on screen, but Kross was quick to point out that he's had nothing but positive experiences with "The Juice," and was very complimentary about how Juventud has helped him grow as an in-ring competitor. I talked to Impact and Lucha Underground's Taya about the battles she faces switching between wrestling in Mexico as opposed to the states. She says that she implements a lot of the lucha style into her American work, and that she doesn't subscribe to the notion that if you're a heel that you shouldn't do fast paced and high flying moves. She mentioned that throughout her time in Japan, she noticed that a lot of the female stylistic influence came from Mexico as well. Speaking of media relations, FITE TV has been increasingly media-friendly over the past several weeks. The platform has stepped up their wrestling content, and seem to be a go-to for promotions (Impact, Ring of Honor, National Wrestling Alliance) to broadcast their shows. 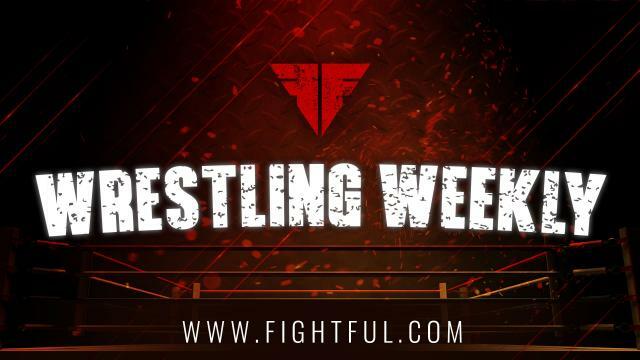 With DAZN in the fold, FITE has really increased their pro wrestling content, and recently gained the access to run Chris Jericho's Wrestling Cruise. Stevie Ray was the subject of the UFC 229 weekend Making A Finisher series, as I target special weekends (big pay-per-views, All In for Hangman Page, Punishment Martinez's WWE debut for his) for the release of the series. Stevie said that the idea of using a slapjack as a foreign object came out of nowhere, and that Doug Dellinger made it and gave it to him. As for the move, he tried to add a "lifting" element to the move to differentiate it from the Pedigree. Stevie also told a story of abandoning the Harlem Hangover. According to Stevie, one time when they did the move, they knocked a guy loopy. Stevie took blame for the spot, and while he wouldn't specify who it was taking the move, did say it was a friend of his. For the Halloween edition of Making a Finisher, I published our discussion with former WWF wrestler, Gangrel. This was the first episode in which I sought quotes from other people. I reached out to WWE wrestlers who have worked with him, and Chris Van Vliet as well. Van Vliet is a reporter out of Florida who took the move for a video on his Youtube page and landed right on top of his head. Gangrel admitted to me that the move was actually a mistake, and in the heat of the moment he decided to adopt it as a finisher. Versions of the move had been seen before, but I got the feeling that Gangrel missed out on the Barry Windham version. He pointed to Jeff Hardy as someone who took the move great, and Darren Drozdov as someone who wasn't as proficient. Baker talked to me about her experiences at All In and Ring of Honor. She made it clear that she was in no way contracted to Ring of Honor, but really appreciated the platform, exposure and opportunities that she had to work there. Baker told us a story about having to help out both Shayna Baszler and Joey Janela due to dental emergencies when on the independent circuit. Baker remembered both cracking a tooth in half, and in Baszler's case, she had to get an emergency root canal. I spoke to Baker for an upcoming edition of Enhancement Stories, where we speak to wrestlers about their experiences working as extras. She faced Nia Jax in 2017, and I've left that part of the conversation in the interview, but will require some follow up before making it a full on feature. We had Gangrel for the pilot of the series earlier this year. Simon Gotch, aka Simon Grimm tweeted Fightful last week and asked about why we chose a Chris Van Vliet video to use as a thumbnail on an article about him wrestling in MLW, so I thought I'd pull the veil back a little bit on the line of thinking. Gotch supplied us with what he said was a sufficient replacement, and we updated it at his request, but it was a highlight video, typically against our protocol. The reason for that is that if any owner of that highlight's footage takes exception to the clip, it will be pulled from Youtube. We aren't notified of that, and the article can go weeks -- maybe forever with a dead clip. Chris' thumbnails are always high def, have the wrestlers names in big fonts that catch the eye, and the like. If MLW themselves had an appropriate thumbnail/video featuring him, it's protocol for us to use those instead. A WWE employee told me this week that many were surprised how quickly Becky Lynch was able to return and be cleared following a concussion and a broken nose. Many in WWE often fear the worst with concussions because they're so unpredictable -- for instance, Alexa Bliss missed over a month of action, while Becky was cleared after just a couple of weeks. We'd originally planned James Ellsworth as a special guest for List and Ya Boy 1000, since he appears in a cardboard cutout in the background of the show. After standing us up several times, certain controversies emerged that completely eliminated the possibility.